The International Cricket Council has unveiled the fixture list, groups and schedules of the ICC T20 World Cup 2020 with the men’s edition of the marquee tournament being conducted from October 18 to November 15. The 2020 edition of the premier tournament of the shortest format of the game will be held in Australia across 13 venues and 8 cities with the first stage seeing the qualifying matches being played from October 18-23, involving Sri Lanka, Bangladesh and 6 other yet to be decided on teams. The main event will eventually begin on 24th October when hosts Australia and Pakistan will play in the tournament opener at the SCG. The qualification stage for the world cup promises to make for a compelling viewing with Sri Lanka and three sides fighting it out in Group A for two spots in the main event while Group B will be made up of Bangladesh and 3 other countries that’ll be looking to complete the other two vacant spots. 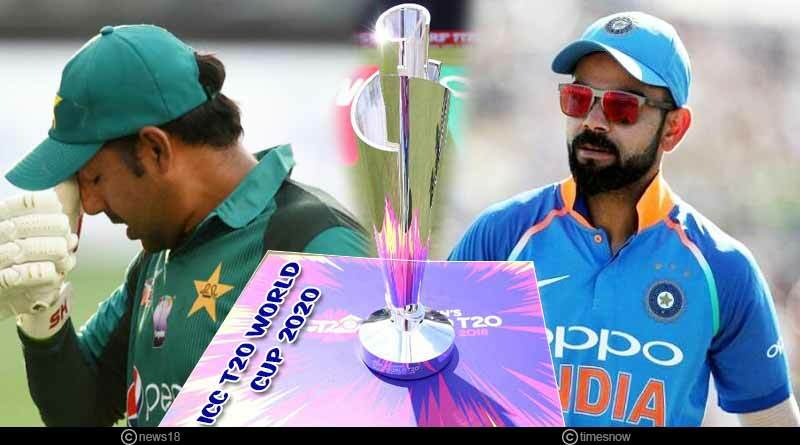 Ensuing the qualification process, the tournament will move to the main affair which will see a total of 12 sides battle it out for supremacy in the ICC T20 World Cup 2020. 8 sides have automatically qualified for the world cup with India and Pakistan being placed in different groups for the first time ever across all formats of the world cup owing to them being the top two sides in the world. Australia and England also find themselves placed in opposing groups, meaning we’ll have to wait until the semi-finals for a chance to witness two of the greatest and fiercest rivalries in world cricket. The 12 sides will be divided into two groups of A and B with India finding their place in an expansive and competitive group B that will make for some frisky contests with England, Afghanistan, South Africa and two yet to be decided nations completing the group. Group A is made up of New Zealand, Australia, Pakistan, West Indies and two qualifying nations. India will get their tournament underway the ICC T20 World Cup on October 24, 2020 against South Africa in Perth. Placed in a tough Group B, India will then go on to playing a qualifier match at MCG in Melbourne. It will be followed by facing England at the same venue before their final two fixtures of the Super 12s against another qualifier and Afghanistan at the Adelaide and SCG, Sydney respectively. Hosts Australia will play the opening match of the tournament on October 24 in a day/night affair at the SCG. The first men’s semi-final will take place at the SCG on November 11, with the Adelaide Oval seeing the second semi-final the following night. Both matches will take place at 1:30 pm IST like the women’s final, the men’s final will be played at the MCG, on the evening of November 15, 2020 and will be telecasted in India at 2:00 pm. Star Sports 1, 2, Hindi/HD will be telecasting the tournament in India in both English and Hindi.